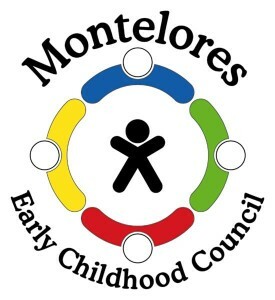 The name of this council is Montelores Early Childhood Council, MECC. The mission of MECC is to promote and sustain a comprehensive, high quality early childhood system to support the community and families, and prepare children for success in school and life. The scope of MECC is to serve as the Early Childhood Council in Dolores and Montezuma Counties and includes, at a minimum: community-wide strategic planning, implementation of new or review of ongoing programs/projects, soliciting or overseeing funding and, waivers, as they relate to creating a seamless system of early childhood care for children birth to 8 years. MECC shall commit to the utmost professionalism and respect among ourselves and maintain confidentiality in all aspects of conduct and operations, and shall not participate in any form of discrimination. · Serve as the infrastructure for the early childhood system of care, a vehicle for making community-wide collaborative decisions about the components, operation, and accountability of that system. · Engage and consult with community partners, within an open, coalition framework to make decisions and implement new programs. · Implement systems changes within the early childhood environment by working with county and state governments, public and private organizations to produce positive outcomes for young children and their families. 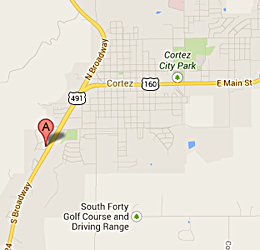 · Access to a comprehensive array of services. · Individualized services that address the unique needs and potentials of a child and their family. · Families are full participants in planning and service delivery. · Services are integrated and coordinated across agencies and programs. MECC will be composed of organizations and individuals who support the vision and mission of the council. A member may be an organization or an individual. 1. Attending a MECC meeting, stating interest in becoming a member and completing a request for membership information form. 2. Maintaining active status by attending at least 50% of regular meetings annually. In the event a member is unable to attend a regularly scheduled meeting, due to illness or a conflict, active status (which includes voting rights) may also be maintained by reading and responding to the minutes of the missed meeting(s), within 2 weeks after receiving the minutes. Responses must be in writing, and may be sent by fax or electronically, to the coordinator. When making decisions, members will strive for consensus. When consensus cannot be reached, members will abide by the majority present. The act of a majority of the members at a meeting shall be the act of the membership. Each active member shall have one vote on each matter submitted to a vote. A member may resign at any time by giving notice to the Co-Chairs or MECC Coordinator. Meetings shall be held monthly with every third meeting being held in the evening. Meetings may be scheduled or changed at the discretion of the Coordinator, including changing a day meeting to an evening meeting. When meetings are changed or an additional meeting is called, the coordinator will provide sufficient advance notice of the meeting to all active members. Any member may forward a request to the Coordinator or the Steering Committee for a special meeting. MECC may act without a meeting if a majority of the active members approve such action, in writing, by fax or electronically. Meetings shall be conducted in accordance with Parliamentary procedures. The Co-Chairs or coordinator will contact any active member that has missed 3 consecutive meetings AND has not responded to the meeting minutes for those missed meetings, to discuss their level of commitment, ongoing participation and membership. Officers of MECC shall consist of Co-Chairs and a Secretary/Treasurer as needed. Officers will be elected by the membership. All officers are elected annually by the membership for a term of two years. The Co-Chairs shall assist the coordinator in facilitating meetings, affirm agenda, maintain orderly conduct of business, review meeting minutes, provide stewardship of process, and assure forward momentum. Members are elected annually in the Spring and in the Fall for a term of two years. The terms to be staggered with 4 representatives elected in the Spring for a 2 year term and 4 representatives elected in the Fall for a two year term. The Steering committee shall meet monthly. The Steering committee shall be responsible to ensure that the strategic direction of MECC is implemented through the work of the action teams, committees and the Coordinator activities; the steering Committee is an advisor to the MECC Coordinator; Steering Committee shall make proposals to the full MECC membership for a vote as needed. Family involvement is expected to be a part of all teams and their work. The Steering committee may appoint ad hoc committees when deemed necessary by MECC. These committees serve until the completion of their work. If a voting member of MECC is also a current or potential recipient of funds overseen by MECC a potential conflict of interest may exist, such member will declare the potential conflict at the beginning of any discussion related to the subject and, will not take part in any vote taken by MECC related to any circumstances where a potential conflict of interest exists. It is the responsibility of the Coordinator or Co-Chairs to enforce this provision. The bylaws may be amended or revised at any regular meeting of MECC by 2/3 vote of the membership present and voting, provided that the amendments or revisions have been submitted in writing no less than 30 days prior to the meeting. Deposited in the United States mail constitutes timely submission.